Michael Myers is finally – finally! – ready for his close-up. And it seems the years have not been kind to that iconic William Shatner mask. Via Dread Central, Blumhouse has today peeled back the curtain on the first official poster for its Halloween sequel (see below), revealing a cracked, creepy guise that is clearly beginning to show signs of wear and tear. 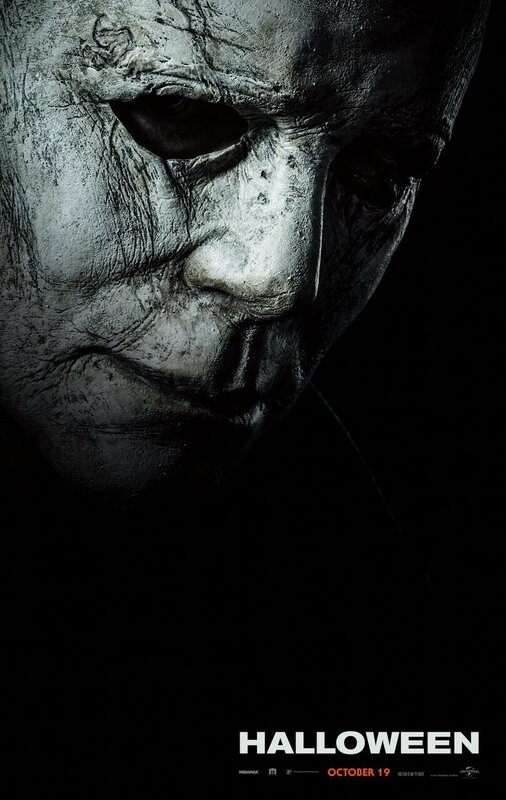 It’s the same mask that has haunted our dreams for nigh on 40 years, but the subtle wrinkles and deep-seated eye sockets help reflect the amount of time that has passed since Michael’s last reign of terror. Because with only six months remaining until Halloween‘s release, the nightmarish killer is ready for round two, and we understand David Gordon Green and his team plan to ignore all other films in the series, save for John Carpenter’s 1978 classic. It’s about the closest thing to a hard reset that we can expect from such a time-honored franchise, so it’ll be interesting to gauge the audience’s reaction to Green’s sequel come October. This time around, industry veteran Nick Castle is one of two actors tasked with playing Michael Myers – James Jude Courtney is the other, and his physicality will help imbue the legendary character with “cat-like reflexes” – and Castle believes the Halloween of 2018 will feel very familiar to fans of the series. It’s one of the most cherished and venerable franchises in horror history, and on October 19th, Halloween officially comes home to Haddonfield. Six months, people!